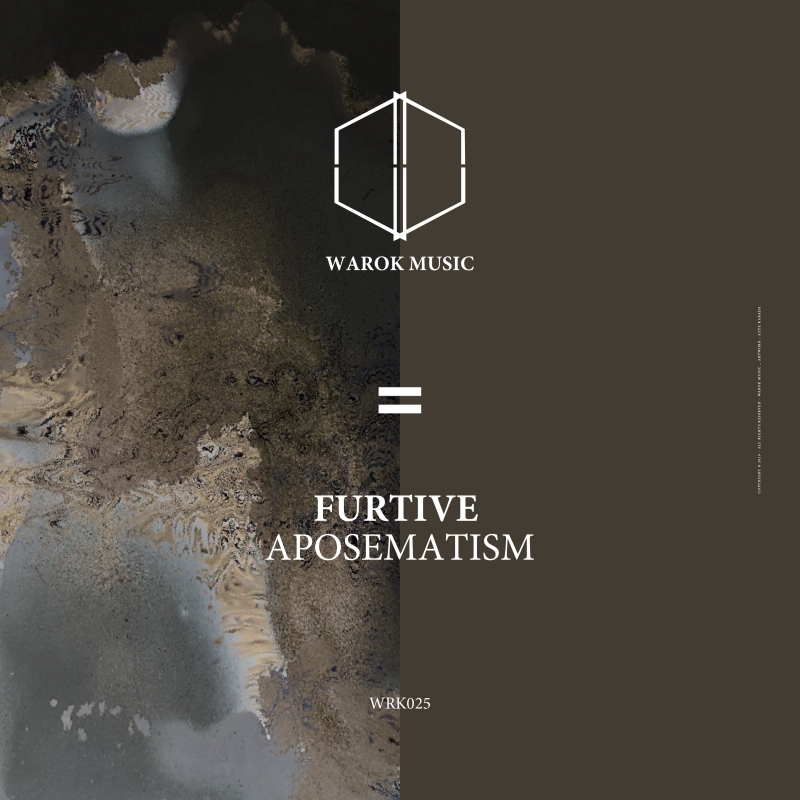 US producer Furtive debuts on Warok Music with a dense four-track EP of complex evolving textures, tense atmospheres, and pummeling low-end energy. The EP kicks off with the uneasy atmospherics of Aposematic, building tension with winding, nervous synths, off-kilter percussion, and a sliding bass. Erosion steadily builds energy as acidic, resonant synths gradually cut their way through warbling layers of noise. Opening with cold textures and a driving kick, Orbital Decay is a pounding psychedelic techno tool anchored by arching resonant sweeps. Heterochrome Flourish rounds out the EP with soaring warping textures and rolling kick patterns, injecting color and upbeat energy into a cerebral release.